Lincoln’s Zoo Bar hosts the returns of a lot of audience favorites this month including Billy Bacon this weekend and James Harman Thursday, Oct. 15. Bacon, who resides in Austin, Texas, still puts down his infectious, high-energy blend of roots, blues, swing, Tex-Mex and more. Bacon will be performing with some of his top-flight Lincoln roots musician friends in an ensemble he’s dubbed Billy Bacon & The Linkin’ Logs. They perform Friday, Oct. 9, 9 p.m., and Saturday, Oct. 10, 6-9 p.m. immediately after the Husker game. Filling out the Friday-Saturday Zoo Bar calendar are the party-starters Tijuana Gigolos Friday, Oct. 9, 5-7 p.m. On Saturday, Oct. 10, Nebraska Blues Challenge runners-up Cryin’ Heart get crankin’ after 9 p.m., revving up their Chicago blues sound that mixes traditional-style originals with classic blues. 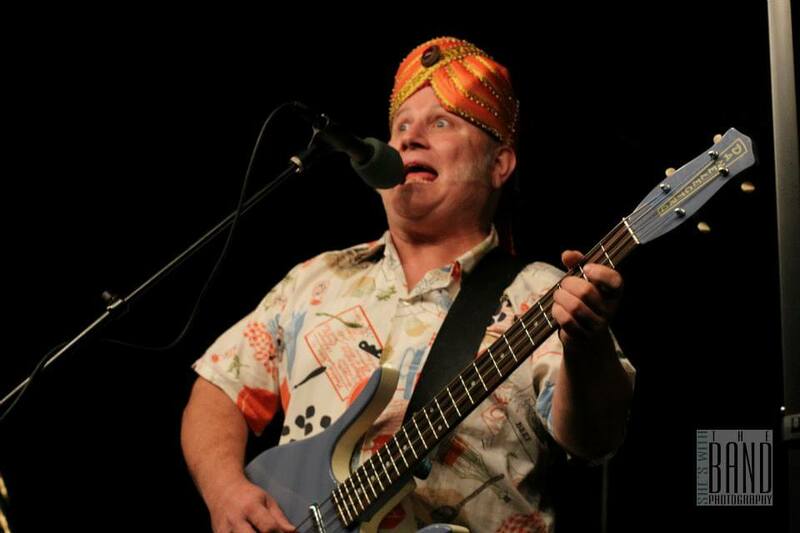 Thursday, Oct. 15, 6 p.m., the one and only Southern California favorite James Harman takes the Zoo Bar stage. Harman’s mix of musicianship, originality and deep roots in the blues make his shows a must for fans who are hip to fine roots music. Harman has been singing since he was a teen, when he began playing juke joints and dance clubs. Check out the details of Harman’s lifetime in roots music at jamesharman.com/bio. Tickets for the Oct. 15 show are $20 in advance (available through etix.com) and $22 day of show. Chicago blues guitarist John Primer was often seen on local stages as a sideman for Magic Slim, who fronted the band before and after Slim’s portions of their sets. The John Primer band returns to the metro with a show at Lincoln’s Zoo Bar Wednesday, Oct. 14, 6-9 p.m. He performs Thursday, Oct. 15, 6-9 p.m. at The 21st Saloon. Primer is a Grammy-nominated artist and an accomplished blues guitar slinger. See johnprimerblues.com. Oct. 22nd Cedrick Burnside Project, R.L. Burnside’s grandson. See cedricburnside.com. Oct. 29th Gracie Curran & her High Falutin’ Band, energetic blues and soul now based out of Memphis. See graciecurran.com. Oct. 31st Halloween Party with Selwyn Birchwood, a special Saturday show with Alligator Records’ Selywn Birchwood, a high-energy blues entertainer who took the 2015 Blues Music Award for Best New Artist. See selwynbirchwood.com. Follow The 21st Saloon, 96th & L, on Facebook. Next Saturday, Oct. 17, The Holland Stages Festival event at the Holland Performing Arts Center presents artists on three stages from a variety of musical genres include local players like Darryl White (jazz) and Brad Cordle (blues) along with national acts like Delfeayo Marsalis and Conor Oberst. See the schedule and further details at hollandstages.com. “Tickets are not required to attend the majority of the Holland Stages Festival, though performances after 5 p.m. will require a wristband for entrance. Wristbands will be distributed on a first come, first served basis beginning at 3 p.m. at the 12th Street Arrival Plaza of the Holland Center. All-access wristbands will be distributed first, which will allow a patron entrance into any space in the Holland after 5 p.m., including Kiewit Hall for Oberst’s show. Don’t forget that it’s a superb fall weekend to take advantage of Junkstock, going on Friday through Sunday, Oct. 9-11 with a variety of live band performances (check the schedule at junkstockomaha.com). There’s food and a kids area as well as all the vendors to shop at. The Sunday Roadhouse concert series is set to welcome Austin’s iconic singer-songwriter-producer Gurf Morlix back to Omaha Sunday, Oct. 18, with a show at The Reverb Lounge. See sundayroadhouse.com. Mark your calendar now for annual OEA Awards Music Nominee Showcase that hits Benson Friday, Oct. 23. It’s a multi-venue celebration of bands nominated for this year’s OEA music awards. See facebook.com/oeaawards.